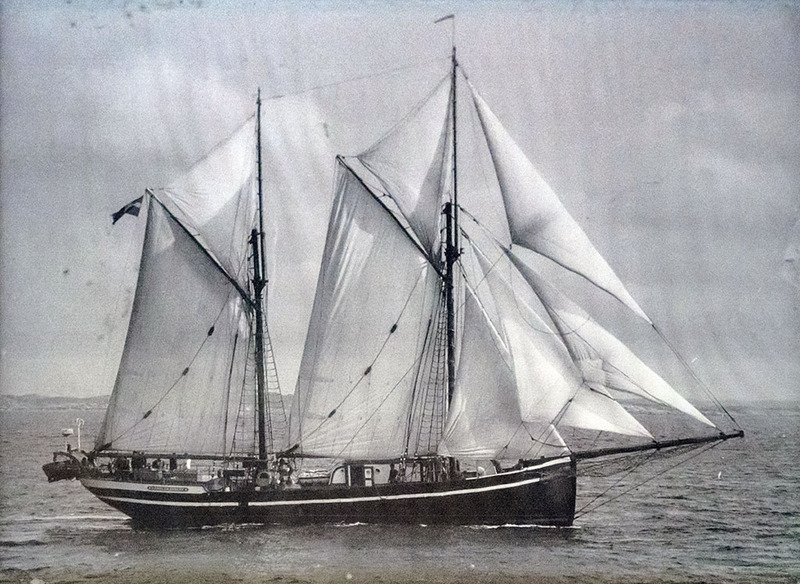 Hawila is a Norwegian 34 m long two-masted wooden Baltic trader, built in 1935. She was used as an ice freighter between Norway and Sweden until the end of the 1950s. After the collapse of the ice business, the vessel was left abandoned in a Swedish harbor until 1979. 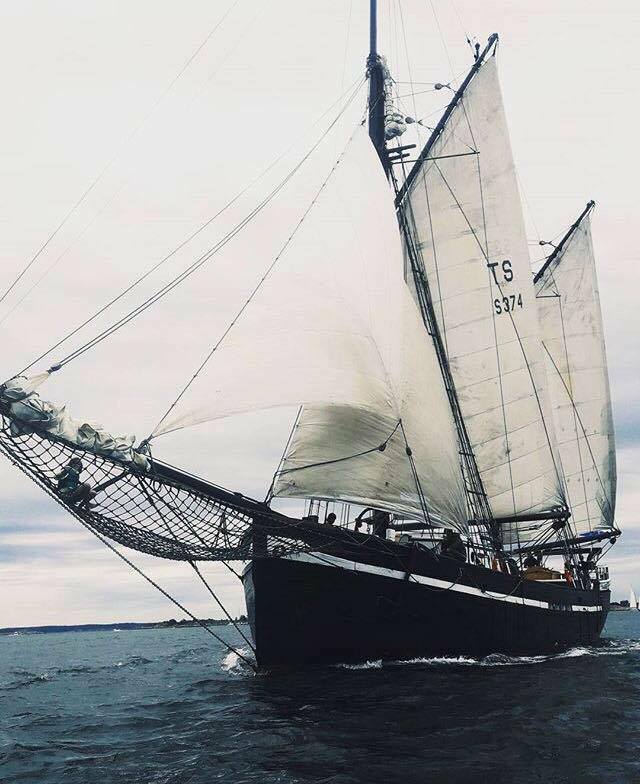 She was later refitted as a sail training vessel by a group of young teachers from the Swedish island of Öckerö, and used to sail with school kids until 2008. Hawila was then sold to a private owner who used her as a pleasure craft for short trips in the Baltic Sea. 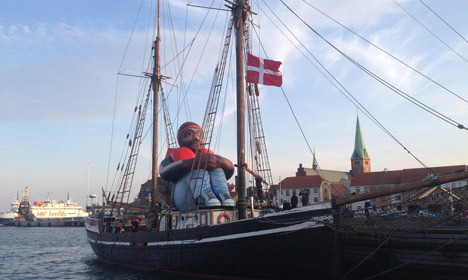 The owner got rapidly exhausted of the continuous needs for maintenance and the high running costs, and left the ship in disrepair in Copenhagen harbor, where he considered dismantling Hawila. In 2014, the vessel was found by a group of friends that started a large refit, and Hawila was donated to the newly created non-profit organization Hawila Project. When fully rigged, Hawila has 9 sails with a total sail surface of 390 m2. 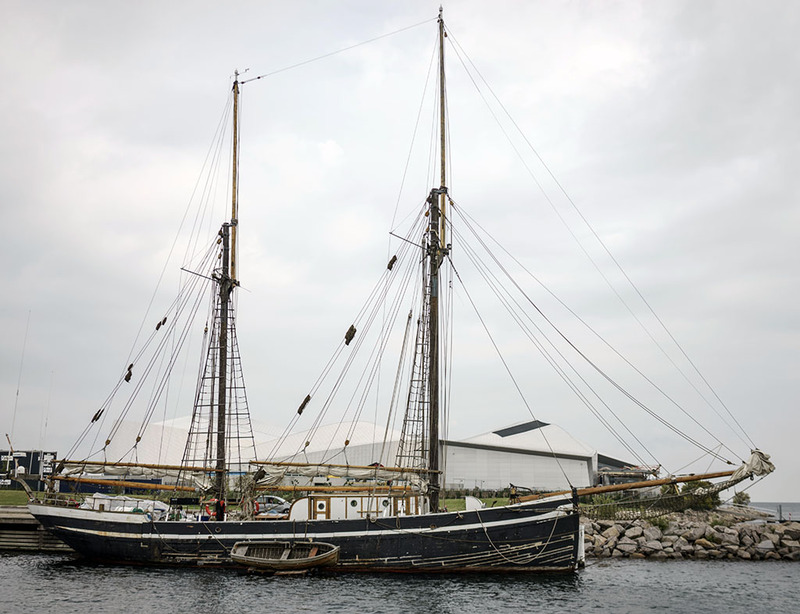 The Swedish state Maritime museum gave Hawila the status of cultural-historical value vessel in 2002. 1934: Andreas Bryngelsson, a 50-year old Swedish man from Hönö (island in the Öckerö archipelago, west from Gothenburg) orders a new ship to improve the ice shipping family business. So far, he owns a 16m ship named Ymer that he sails with his sons Werner, Gunnar, Folke and Elon. 1935: the ship is delivered on August the 15th 1935, which happens to be also the 18th birthday of Folke. An innovative ship built in Risør, Norway: not only is the ship designed with sails, but it also uses innovative technology by combining the sail power with a diesel engine. 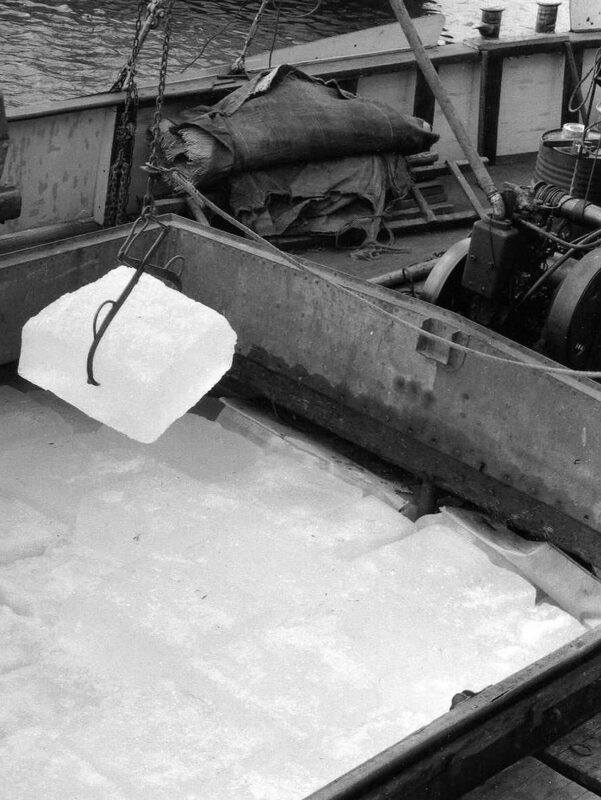 Over the years, Hawila is mainly used for ice shipping between Norway and Sweden. The ice is stored in Hönö Klåva where the fishermen could pick it up before going on a fishing trip. Soon Hawila will need to be extended as the business grows, but also because she is not that easy to steer (too wide for the length). 1938: Hawila is cut in half and 4 ribs are added from rib 0 (the widest part of the vessel). The mast is moved aft as the mizzen mast, and a new mast is added forward. Steering was then improved, and by adding sails to the steer also increased speed. At that time, 3 to 4 people are required to sail Hawila. World War II: during the second World War, top priority being food, only fishing vessels are allowed to buy gasoil. The Bryngelsson family develops tricks to get some gasoil and continues to do some business. Also, Hawila was used for smuggling (mostly butter, clothes and packages) between Norway and Sweden. Sailing is then the best way to travel. 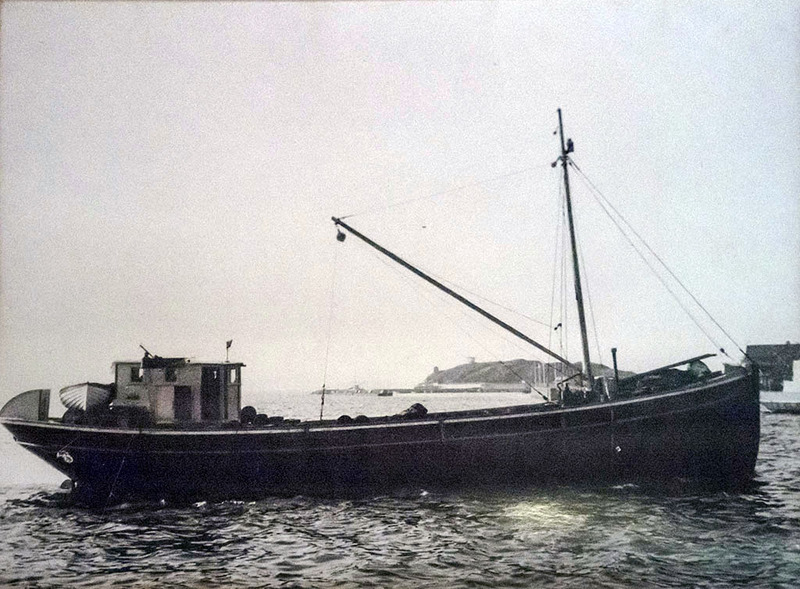 Until 1945, Hawila was then turned into a fishing ship, smuggling cargo between Norway and Sweden. After the 2nd World War, the family stops fishing on Hawila. Werner and Folke continue fishing on another boat whereas Andreas and Gunnar ship ice with Hawila. From 1947, Hawila would take 2 trips a week between the island of Knippla and the warehouse on Vänern Lake. 1952: as more power is needed to sail against the river currents all the the way to Vänern lake, Werner, Folke and his 12 year-old son Sven go to Norway to replace the original 75hp engine by a 2-cylinder 150hp engine. In 1953, Folke and his family emigrate to Brazil, where they teach the local population how to fish, in cooperation with the SIDA (Swedish International Development Cooperation Agency). Werner keeps sailing Hawila for ice shipping as well as other kind of shipments. In 1956, his 13 year-old son Uno joins the crew until the age of 21. In the middle of the 60s, finding crew is very difficult and requires a lot of money for the salaries as well as the needed maintenance work. Due to financial problem, Hawila remains in port for several years. Coming back from Brazil, Folke dreams of sailing Hawila again. He starts to refit her by himself but sadly realises that this is too much work for only one man. 1978-1984: a second birth for Hawila. Hawila is bought by the Swedish organisation MBV (Mot Bättre Vetande). 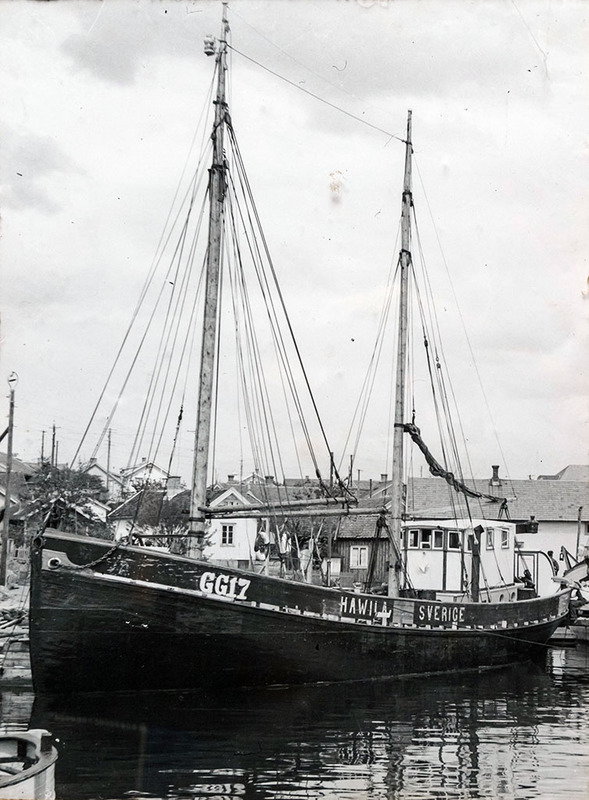 The organisation was based in the neighboring island of Öckerö and was started by a group of friends whose ambition was to turn Hawila into a training and educational ship. The aimed to give school kids of Öckerö a different alternative education. Among them, Lennart Martinson, Lennart Magnusson, Egon Helgesson, George Appelkvist and Tullan Kalström. Most of them are teachers and they have the brillant idea of restoring Hawila with the help of pupils from the Bratteberg primary school. Also everyone could help at weekends. It takes 5 years to make huge changes like the new rigging (sail surface increased to 390sqm), building the kitchen cabin and 34 bunk beds in the mess room. From 1984, the ship becomes a training ship and Uno Bryngelsson joins the happy crew as a captain. The partnership with the primary school goes on as Hawila needs constant maintenance. In exchange for their work, the pupils would have opportunities to sail on Hawila during holidays. All classes from Brattebergsskolan would spend one week sailing with Hawila, included in their school term, and then they and anyone else could sign up for courses during the summer. The crew consists of a captain, a second officer, 3 instructors, 2 cooks (Ingela, Uno´s wife and Lillemor, Egon´s wife) and 27 pupils. 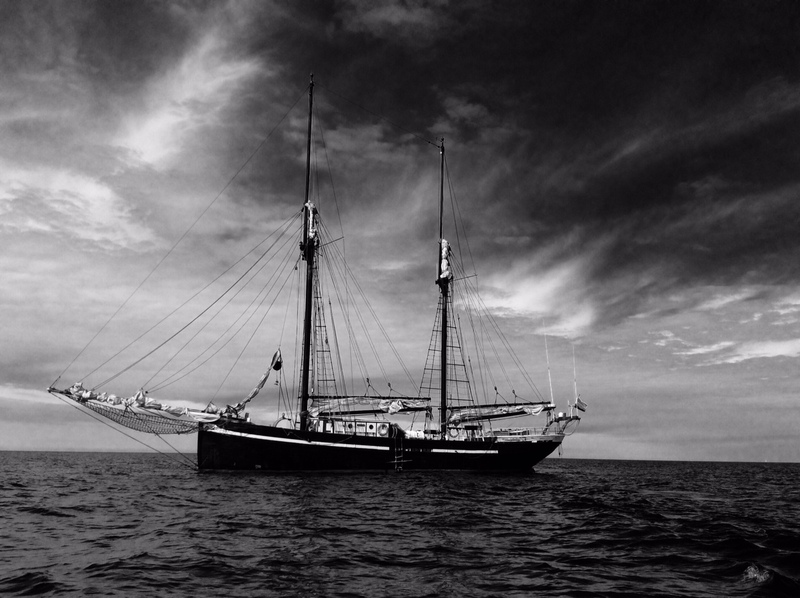 In Öckerö, generations have worked, sailed and loved Hawila and it is with a great sadness that she is sold in 2008. The always rising level of maintenance and qualifications required by the Swedish Maritime Administration and the lowering interest by the schools are the main reasons why MBV decides to keep their second ship Astrid Finne (17,5m, 12 pupils) and to sell Hawila. In 2008, the ship is sold to Pauli Kivekäs and primarily used for short trips on the Baltic sea. This adventure with Hawila changed his life and he later created a guesthouse in Christianshavn, Copenhagen hosting people onboard form all over the world until 2012. 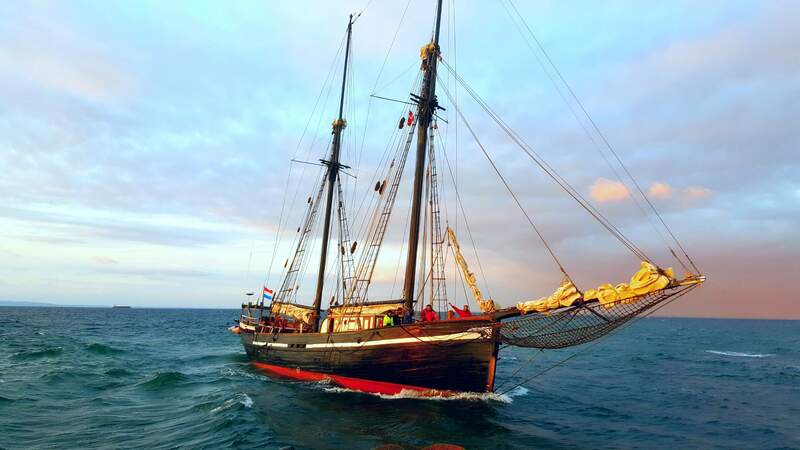 Tired of the ship and its constant needs for maintenance, and due to personal issues, Pauli left the country in 2013. Dismantling Hawila was considered as a solution to get rid of the ship. 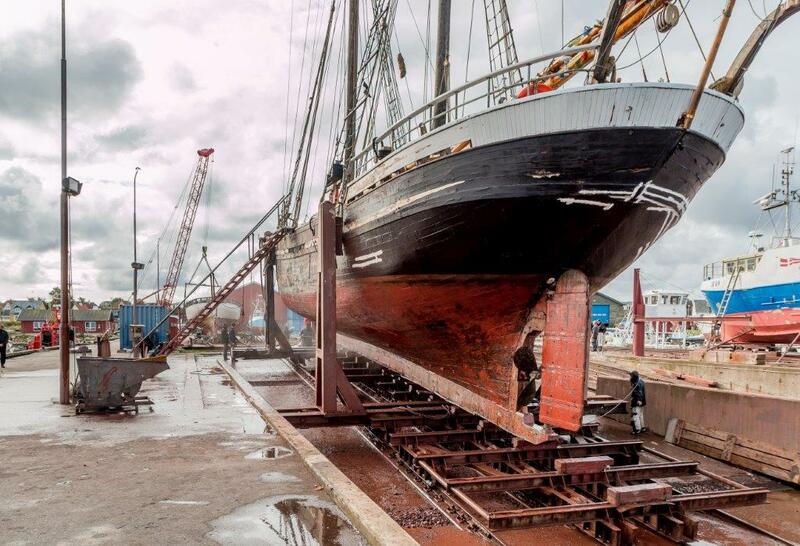 Summer 2014: a collective of enthusiastic students and young professionals create the non-profit organisation Hawila Project in order to start the renovation of the ship. 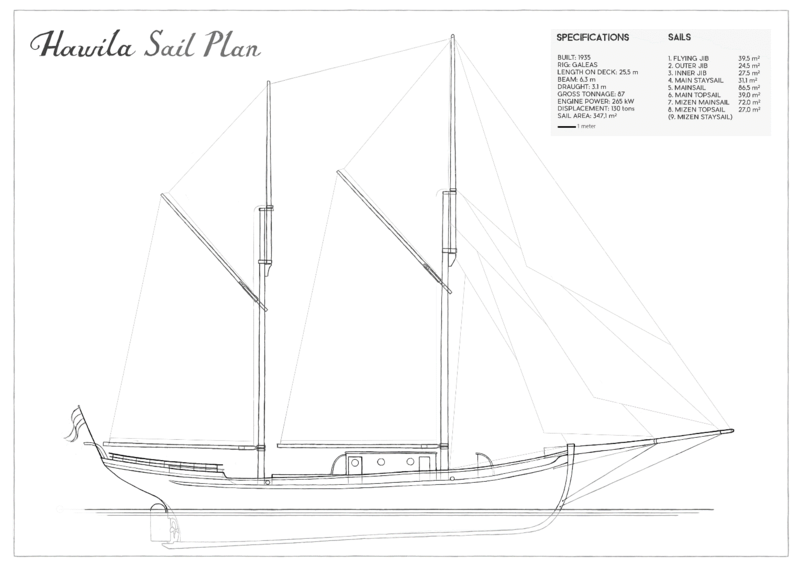 Their vision is to use the vessel to engage and bridge coastal communities with transported local products by sail. They aim to unite the transport of goods with an onboard educational platform to inform about the issues surrounding globalisation, and challenge the current food system culture. Pauli saw the potential of a dynamic young group of sea lovers and decide to donate Hawila to the new organisation. Soon the organisation members start working on the deck and the cabins as Hawila is leaking from everywhere. Winter 2014: with the help of a lawyer, the organisation ensure that no previous claims are following the vessel. This process is long and laborious, and took the entire winter 2014 and in January 2015 Hawila Project officially takes the ownership of the Hawila for 1 DKK. June 2015: a self-organised opening festival takes place in June to raise awareness on the project. Following the festival the refit of the vessel starts with neighbours, friends and volunteers from across the world). September 2015: the vessel goes to the dry dock after several years in harbours to discover and very well kept hull, ideal base to start the project. Winter 2015-2016: to raise the money necessary for the refit the vessel is partly transformed in a guesthouse. The entire forward part is reserved for guests while the aft is being renewed. Summer 2016: the main engine has been rebuilt and the vessel is now engining nearby Copenhagen, collaborating with artists on environmental and social projects. 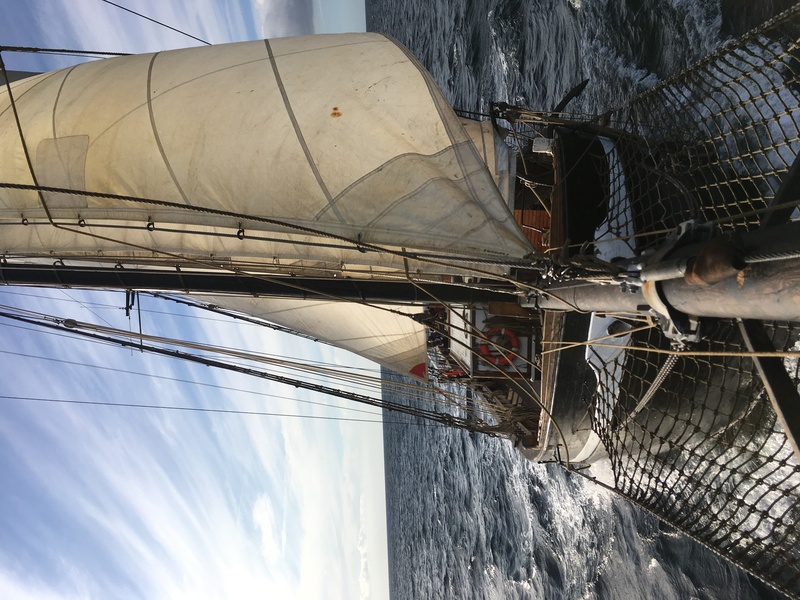 Finally, in July 2017, Hawila set sail again and left Gilleleje towards Öckerö! Special thanks to Sven Bryngelsson, Uno & Ingela Bryngelsson, Lennart Martinson, Egon & Lillemor Helgesson for sharing their memories with us.